While the midcap index closed 217 points higher at 16,852 level, the small cap index rose 290 points to 18,463 points. 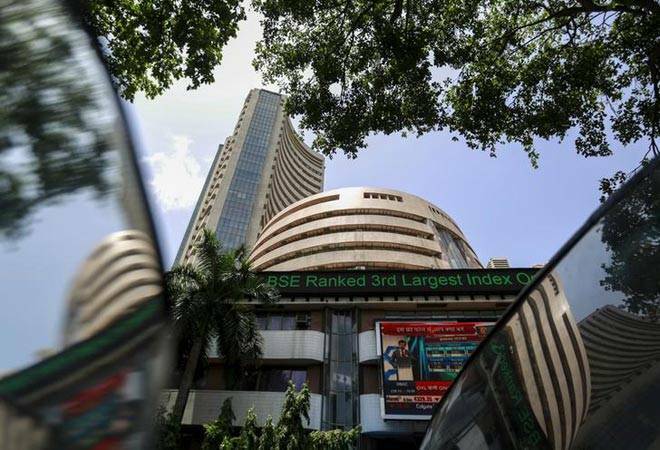 The Sensex and Nifty closed higher today with European markets trading in the green after Asian stocks ended in positive territory. The week-long rout in global stocks seems to have ended after US markets closed higher on Friday. While Dow Jones ended 1.38% or 330 points higher, Nasdaq rose 1.44% to 97.332 level. The Sensex, which fell 407 points on Friday, rose as much as 346 points intra day to 34,351 level today. The Nifty closed above the key 10,500 mark. Sensex and Nifty had fallen nearly 3 percent last week, hit by a global market rout. Worries about a new 10 percent long-term capital gains tax and fears of a central bank rate hike added to the woes. Sentiment is expected to remain wobbly, analysts said, though sectors seen as "undervalued" are likely to attract demand. Data for index of industrial production (IIP) for December and consumer price inflation for January are due to be released today. The figures may impact the course of market when it reopens on Wednesday. Market will remain closed on account of Mahashivratri on Tuesday. On Monday, the Sensex rebounded by 294 points to close at 34,300 level. The Nifty too closed 84 points higher at 10,539 level. Tata Steel (4.22%) , YES Bank (2.89%) and PowerGrid (2.51%) were the top gainers on Sensex. SBI which reported its Q3 earnings on Friday was the top Sensex loser. The lender posted a massive Rs 2,416.37-crore net loss for the December quarter of current fiscal as its bad loans and provisions spiked. The lender, in contrast, reported net profit of Rs 2,610 crore for the October-December quarter of the last fiscal, 2016-17. The stock closed 2.67% lower at 288 level. Shares of Oil and Natural Gas Corp Ltd jumped as much as 3.8 pct to Rs 194.5, after a consortium led by ONGC won a stake in Abu Dhabi National Oil Co's (ADNOC) 40-year offshore oil concession. The stock closed 1.65% lower at 190 level on BSE. On the sectoral front, top gainers were BSE capital goods (317 points or 1.65%) and auto stocks (266 points or 1.06%). The BSE healthcare index too recovered 169 points or 1.18% to 14,517 level. "Pharma was one of the oversold and underowned sector," said Gaurang Shah, head investment strategist, Geojit Financial Services, noting that the earnings outlook for the sector is expected to improve. "Attraction is back into pharma stocks," he added. Market breadth was positive with 2033 stocks closing higher against 770 ending lower on BSE. European shares rebounded from six-month lows on Monday as jitters over a sudden spike in volatility that wiped off $1 trillion in market capitalization last week appeared to ease. Gains in all sectors helped the pan-European STOXX 600 index rise 1.2 percent by 0812 GMT, after ending at its lowest level since August on Friday. The UK's FTSE and Germany's DAX also rose more than 1 percent. A higher Friday close for New York stocks following a week of "vol" induced selling, lifted markets in Asia and Europe, helping MSCI's all-country index 0.5 percent while European shares were 1.5 percent higher. Wall Street's equity volatility gauge, the VIX - the spike in which had kicked off the ructions - was at 25.5 percent shortly after opening, versus Friday's 29 percent close.